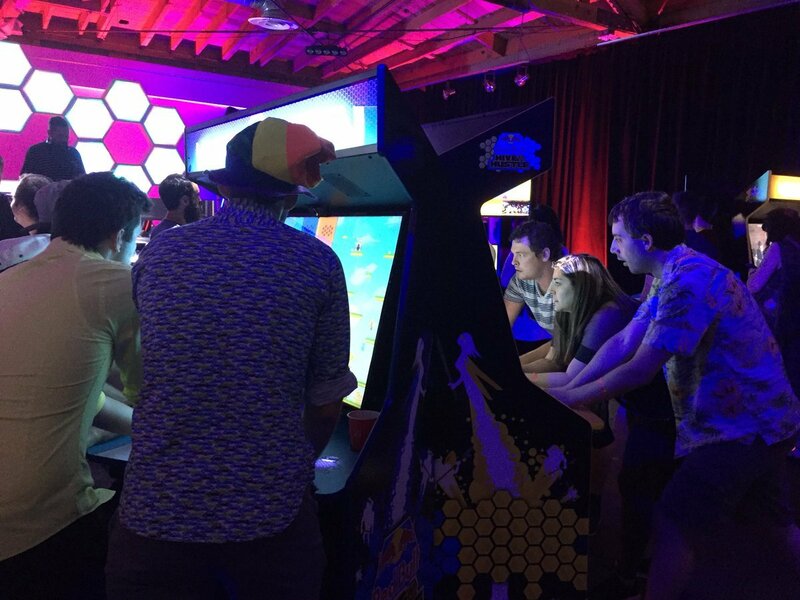 Following last weekend's Red Bull Hive Hustle event in Los Angeles, Shacknews spoke to Killer Queen tournament organizer Dylan Higgins about taking a cult arcade hit and creating a cult esports scene. Five years ago, Shacknews ventured to IndieCade 2013 and went hands-on with a full slate of outstanding indie games. Many of them would become critical or commercial successes, like Nidhogg, TowerFall, and Gone Home. But one of our favorite games that year wasn't on PC or console. It was on an arcade cabinet. In the five years since, Killer Queen has brought joy to any arcade-goer that could find the 5v5 cabinet. Inspired by old-school classic Joust, the idea is for teams to claim victory by either gathering enough berries for their base (Economic Victory), defeating the opponent's Queen three times (Military Victory), or riding the Snail at the bottom of the stage to the team's goal post (Snail Victory). Killer Queen quickly broke out as a cult, casual hit. In recent years, however, Killer Queen has also begun developing a cult following on the esports scene. The game's tournament scene has grown across the grassroots level. Among the key names crafting tournaments has been Dylan Higgins, based out of the Ground Kontrol arcade in Portland, Oregon. He's put together a handful of major Killer Queen tournaments, including a massive tournament in Chicago that drew in teams from across the nation. This movement has also attracted the attention of the folks at Red Bull. Thus Red Bull Hive Hustle was born, with Higgins and the team at Red Bull Esports coming together to create an all-night Killer Queen tournament at Lot 613 in Los Angeles, CA. The hangar housed seven Killer Queen cabinets, the most in a single location. It also attracted teams from across the nation, many of them coordinated with their own team uniforms and with a unified desire to be the best in their game. The event ended in exciting fashion with Sad (I Promise) standing triumphant after a 3-0 Grand Finals win over Bonus Nap. How did the Killer Queen scene get to this point? And where is it headed in the future? Shacknews took some time to reach out to Dylan Higgins and learn more about Killer Queen and its developing esports scene. Shacknews: How long have you been organizing tournaments for Killer Queen? Dylan Higgins, Killer Queen tournament organizer: I've been organizing tournaments since early 2015, so coming up on four years. About as long as KQ tournaments have been happening. Shacknews: What about the game do you feel makes it optimal for competitive tournaments? Higgins: I think the game requires a unique combination of personal video game skills as well as team communication and strategy skills, which makes it great both for shining on an individual level and as a team, which makes it really cool for competition. Not to mention the huge social part of it, which drives most of its meetups both competitively and not. Shacknews: How did you go about building up the Killer Queen competitive scene in Portland? What made you want to do it? And did you bump into any trouble setting the whole thing up? Higgins: The arcade I work at, Ground Kontrol, here in Portland, Oregon, just started having monthly tournaments, and I immediately knew I wanted to be involved. I was in love with the game from the beginning, and then I wanted to help broadcast the tournaments, but very quickly I was just in charge of running all of it. Our Facebook group took off and soon we just had a scene growing out of nowhere. The biggest effort was just having monthly tournaments to keep people coming back and having a goal to practice towards. This is pretty commonplace in established scenes around the country. 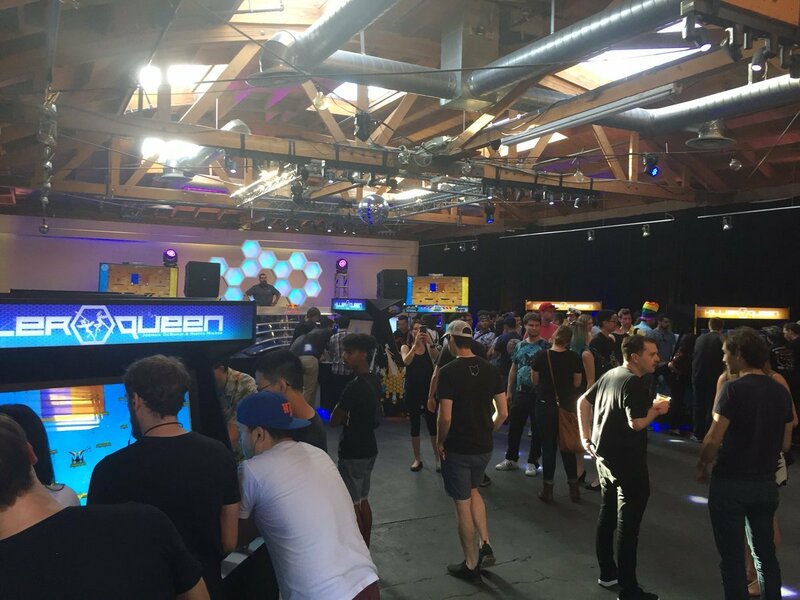 Shacknews: Last weekend, you came to Los Angeles for Red Bull Hive Hustle and set up one of the biggest Killer Queen tournaments I've ever seen. Arcade machines all over the venue and teams from across the country. How did you go about setting this up? And how much help did you have from Red Bull? Higgins: Red Bull Hive Hustle was created and built by Red Bull and all credit for the event itself goes to them. They knew they wanted to do it, and they hired me on to help them run the actual tournament part of it. I advised on picking a date, a style, a format, etc, things that players would like, and I ran the day-of tournament part. But anything to do with planning the event itself, outside of the game part, was all them. I was as impressed as you were. Shacknews: Coming off of Red Bull Hive Hustle, what do you feel the future holds for Killer Queen as a competitive game? Higgins: Competitive Killer Queen continues to grow. In October, we are hosting BumbleBash 3 here in Portland, the third annual KQ world championship. There will be 60 teams, 300 players, for the weekend-long tournament, making it the biggest one yet by far. Every year the tournaments get bigger and bigger, so it is hard to say where exactly it is going, but it is only going up. Shacknews: There are some key differences between Killer Queen and other competitive games. Obviously, it's an arcade game, one played on two giant arcade cabinets. But what else do you feel separates Killer Queen from more traditional esports? Higgins: I think there are two big things to it. One is that it has a relatively simple barrier of entry: just one button and one stick. You don't have to learn crazy combos or anything, you just have to practice your technique and strategy. This brings in a lot of types that aren't your "typical gamer." The other is the in-person team strategy and communication of it, and being required to talk to your teammates in real time in real space, not to mention your opponents between matches. Shacknews: Killer Queen has been around for over five years, but it's still a relatively unknown quantity among many gamers. What do you think is the key to spreading awareness of this game, both competitively and as a whole? Higgins: I think as it finds its way into more cities, more and more people are going to be aware. For instance, it only just now is arriving in public locations in Los Angeles. The arrival of Killer Queen Black on Switch and PC is going to be a big one for brand awareness as well. Shacknews: What's the next big Killer Queen tournament on your radar? Higgins: BumbleBash 3 in Portland on October 19-22 will be the biggest KQ tournament ever, and it's less than a month away. For a list of arcade locations, visit the Killer Queen website. Meanwhile, a slightly different version of the game, called Killer Queen Black, is coming soon to PC and Nintendo Switch. i have a KQ across the street from me, lots of people always there! I'd heard about it for years from dev friends who've played it at conferences, indie showcases, and such. Can't wait for it to hit console soon, its always sounded great.